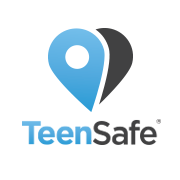 TeenSafe provides a way for parents to monitor iPhone and Android smartphone activity, as well as Instagram, WhatsApp and Kik Messenger. 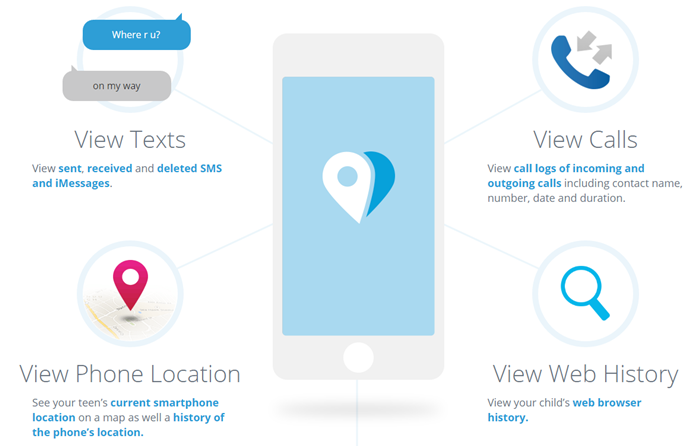 You will be able to view logged details of your child’s cell phone use. Access to these logs will be available through an online dashboard that only you have the username and password to. TeenSafe is a secure way to monitor your children. Does your child use a third party messaging system on their mobile device, such as iMessage or WhatsApp? Are you having trouble finding a way to monitor them? Most carriers will allow you to monitor SMS messages, but third party messengers are sent through a WiFi connection not the cellular system. Parenting is hard enough, but electronics make it even more difficult. Even Apple dictates what information can be shared from their apps. This has made it increasingly hard for parents to find a system to suit their monitoring needs. TeenSafe is the first to offer third party message monitoring. This unique tracking application works without directly installing it on the device. This application can be used on IOS and Android smartphones and devices. TeenSafe is a cloud application, this is why it will not have to be directly downloaded to the device. If using the software with an IOS device, you will need to know your child’s apple ID and password. You will be asked to enter the child’s name, date of birth and the state they live in. How Does TeenSafe Differ From Other Monitoring Systems? Most monitoring applications need to be downloaded to the phone directly. TeenSafe is a cloud based application when used on IOS devices, and will be a hidden app when installed on an Android device. Plus, it works without jail breaking an iPhone, or rooting an Android phone. This application will not alter your phones operating system, so you will not have to worry about voiding your phone’s warranty. There is a 7 day free trial offered, so you can see exactly how TeenSafe works. This will help you know if the software meets your monitoring needs. If you decide to keep TeenSafe after the free trial period, there is a subscription fee of $14.95 per month. You can cancel at any time. You will be asked for credit card details, and billing will begin after your 7 day trial period. Logs sent, received and deleted SMS and iMessages. Logs all incoming and outgoing calls. Provides GPS location of the device in real time, and history location. View web page history, bookmarks and contacts. Monitors WhatsApp, Kik and Instagram. Monitor as many kids as you like with one subscription. TeenSafe is a great way to monitor your child’s phone activity. You will be the only one to access log details, as the software contains advanced SSL and Vormetric data encryption. This ensures your child’s data is well protected. The data will remain encrypted until you access it. You no longer have to worry about your children using third party applications to text their friends. TeenSafe has you covered.